Keep things organized with the cargo organizer. It's leak-proof, lightweight and easy to clean. Constructed of polypropylene with removable dividers, it folds down to 3" flat. 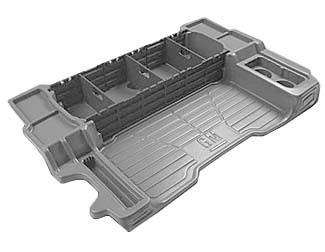 Molded handle grip allows for easy transport of folded organizer between vehicles..